I can't believe we are already through Week 10. Once again the fantasy and NFL seasons are flying fast. For most leagues, you only have 3 more weeks before the playoffs, so it might be time to start looking at the future schedule if you already are in playoff shape. There were no major injuries in Week 10, so let's take a look at some players who had big weeks and whether or not they are worth an add in your league. So this one might be a bit of a knee-jerk add, but there is no doubt that Rashaad Penny has the ability to be a top running back in Seattle. In Week 10 against the Rams, Penny rushed 12 times for 108 yards and 1 touchdown. Unfortunately, this has the makings of a 3-headed backfield in Seattle. RB Chris Carson has been great this season and should return from injury soon, and RB Mike Davis has also been solid when getting the bulk of the carries. What is nice is that each running back is getting a ton of carries, so all it takes is 1 touchdown or a huge gain to have a decent fantasy week. If Carson can't go in Week 11 against the Packers (short week on Thursday so that might be the case), Penny must be added in all leagues. 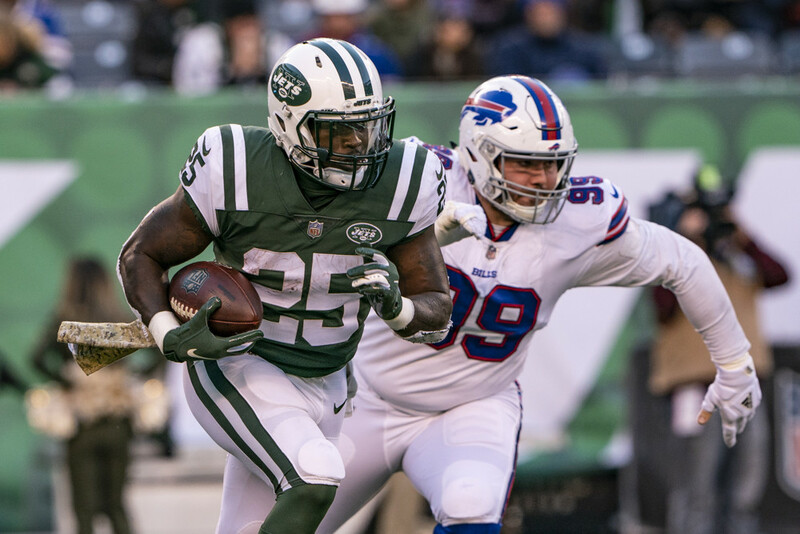 Elijah McGuire may have been a major disappointment in Week 10, but you can't really blame him with how the entire Jets' team played. The Jets went down early to the Bills, and never really recovered. McGuire finished the game with 6 attempts for 30 yards and caught 3 of 6 targets for 27 yards. McGuire has gotten 6 targets per game since he returned from injury. The Jets have a Bye Week, so that should give them some time to get healthy and to come up with a better game plan for the offense. The Jets face the Patriots in Week 12, which should be a nice way to come back. He should be added in 12-14 team leagues. If you need a volume based receiver, Maurice Harris may just be what you are looking for. Harris has been targeted 17 times the last two weeks, catching 15 passes for 176 yards. He has directly benefited from the injuries to WR Jamison Crowder, WR Paul Richardson, and RB Chris Thompson. With all three of those guys out, Harris should see a decent amount of work. The Redskins have a tougher schedule ahead, but (even more) injuries to the offensive line might kill the running game, so QB Alex Smith may have to throw a lot more in the coming weeks. Harris is a 12-14 team addition. Do you need a starting running back who is at least 35 years old? Well then Frank Gore is your man. Gore is continuing to defy old age, this time carrying the ball 13 times for 90 yards and adding 2 receptions for 12 yards in Miami's Week 10 loss to Green Bay. Gore has double digit carries in every game since Week 4, and coach Adam Gase seems to be content with letting him get a majority of the work over RB Kenyan Drake. It may not be the most exciting pickup, but there is no doubt that Gore is very involved. They have a Bye in Week 11, but after that they have a softer schedule (Colts, Bills, and Patriots). Coming out of their Bye, the Cardinals finally had a chance to run a Byron Leftwich offense. And it seems like both TE Ricky Seals-Jones and RB David Johnson were the primary beneficiaries. Seals-Jones was targeted 9 times, catching 5 passes for 51 yards. Seals-Jones has shown promise in the past, so it's nice to see him actually getting the chance to prove he is a good tight end. The Cardinals get Oakland, Los Angeles Chargers, and Green Bay in the next few weeks (all middling defenses), so Seals-Jones could be a nice addition if you are in need of a TE. Ok so the Jets defense did NOT pan out this week. I guess the Bills just like to stop playing terrible football once in a while. That being said, we will give this another try. Tennessee has been flying under the radar mostly due to the terrible offense. But suddenly the Titans have been picking it up. The most points the Titans have allowed this season is 27, and that came in Week 1. In the past two weeks the Titans' defense has demolished the Cowboys, and more surprisingly, the Patriots. The have some tough games ahead with Indianapolis and Houston, but after that it's smooth sailing (Jets, Jaguars, Giants and the Redskins).